It’s that time of the month again! Time for Wine Blogging Wednesday, when a particular theme is used to inspire bloggers to post on a single subject all over the blogging world. This month, in honor of Valentine’s Day (hurl), Tim Elliot of WineCast asks us to think about sparkling wines on a budget. In this case, budget means anything under US$25. Well I can do that! There are literally dozens of sparkling wines from all over the world that match this price point. I am spoiled living here int he Bay Area, as I have access to many local wineries – at least 10 sparkling houses among them, as well as excellent retail locations that offer wines of all types and cost levels. Sparkling wine is used to celebrate all around the world. 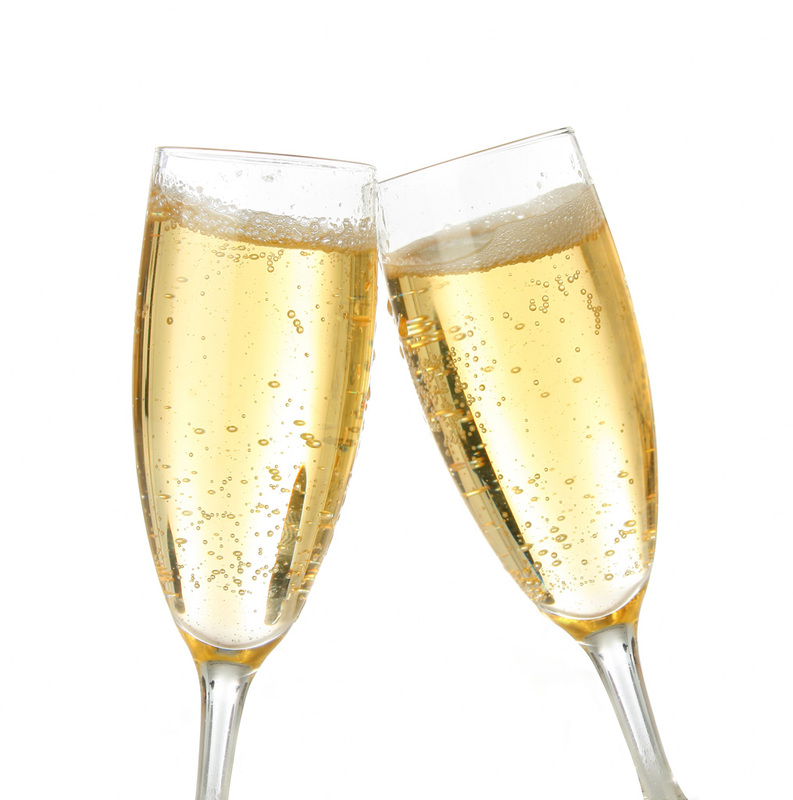 Sparkling wine is known for toasting at weddings, or romantic dinners. Well, I’m having none of it I tell you! Sparkling wine is for every day! It’s for potato chips and picnics. Why save something so delightful for a few times a year? With a few budget selections, you can make it an everyday wine. 1. A house “genertic” from Trader Joes. TJ’s has realy upped the game from Two Buck Chuck. Trader Joe’s North Coast NV Sparkling Wine. For $10, you really can’t go wrong. TJ’s has been consistantly improving thier house labels over the years; this wine is no exception. It was very well balanced, and had a roundness of body that I particularly enjoy. Lots of pear, Asian pear, and apple flaors, with a touch of brioche. This north coast fruit is 60% Chard, 40% Pinot Noir, from somewhere in the vast North Coast catch all AVA. It’s hard to tell where it’s really from,but given the cooler growing climate up there, it’s prime for bubby. This will make a frequent appearance at my house! 2. A favorite of mine, is the Roederer Estate NV. Typically under $20, and often much lower (like at Safeway, when it’s on sale for $16.99) this is an outstanding example of a domestic sparkler, and one I never get tired of. Roederer Estate, located in the cooler climate of Anderson Valley, is the US arm of the French house Louis Roederer. Surprisingly, the NV is a low alcohol wine, so yes, at 12% ABV by all means! Drink more! I love the bright green apple, pear, and creamy flavors in this wine. Bight with citrus, it tastes like it cost a lot more than it does. For a splurge, try the L’hermitage! 3. A surprise guest appearance of a NEw Zealand sparkling wine, Quartz Reef Method Traditionalle NV, from Central Otago. Quartz Reef is known as “The House of Pinot Noir”, and this bubbly kicked off our #nzwineday celebration wonderfully. A slightly fuller bodied bubbly, there was wonderful stone fruit and lemon curd. At $22 (JJ Buckley) this is another one to seek out if you can find it locally. I haven’t had much sparkling wine from New Zealand and was really pleased with this. I plan to harass my friends at JJ Buckley to ensure I can get some of this! Mumm – the value tier of wine is generally ~$15 at retail and there are several good picks. Gruett – an oddball hailing from New Mexico, actually offers a great Rose and Brut. Gloria Ferrer – The Brut and Carneros Cuvee are personal faves, and are best enjoyed from tehir terrace in Carneros! Happy Sparking Wine Blogging Wednesday! And remember, bubbles are for every day, a celebration, a consolation, or just because. Why hide them away when they are so affordable? There were many more wines that I tried, and some of them are still in my fridge. Never fear, I will post about them all, just over time as I continue my…research! I have tasted sparklers from South Africa, Burgundy, and Spain and I vow to continue my quest as long as my champagne stopper keeps working!